Major construction projects have remade the area around TD Garden and North Station, which Boston Properties wants to be known as “Uptown.” Above is the view looking out from the new entrance to the MBTA station. You know, Uptown, that area around North Station with all the sports bars and new apartment buildings. That’s what everyone calls it, right? Well, no. But if Boston Properties — builder of the massive Hub on Causeway project alongside TD Garden — gets its way, that’s how people will eventually refer to this section of the city. 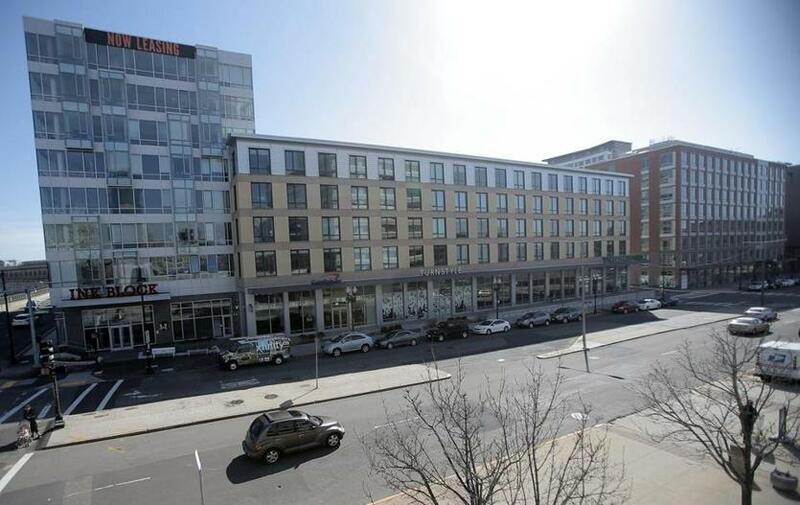 The renaming of “Uptown” is largely pushed by Boston Properties, the developer of the Hub on Causeway project alongside the TD Garden and North Station. And based on history, it’s questionable whether the Uptown moniker will stick. Boston Properties’ pitch is just the latest example in a long line of sometimes comically forced attempts to name or rename Boston neighborhoods. While many parts of the city, from the North End to Lower Mills, have long and deep-rooted identities, other sections — especially those being transformed by the current building boom — are essentially new places. That gives residents, real estate agents, and developers an opportunity to be creative. 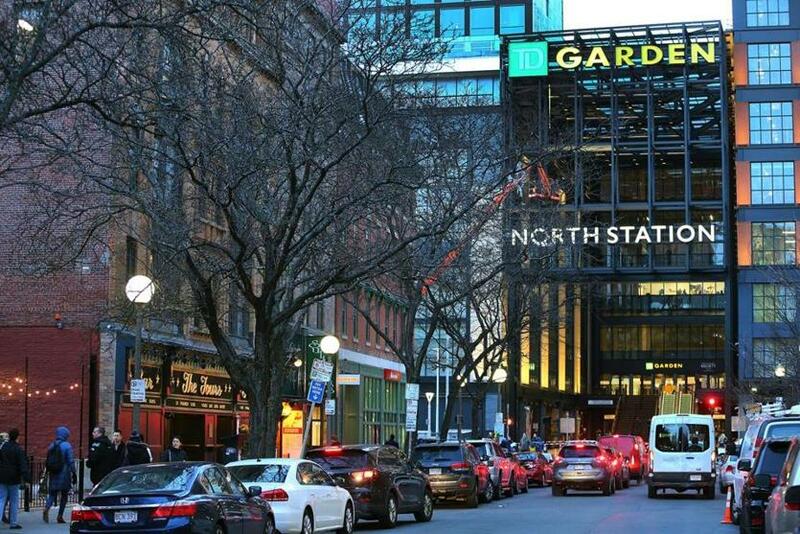 In some instances, the new name is a nod to what came before, such as “the New York Streets,” a formerly industrial pocket of the South End along Harrison Avenue south of the Massachusetts Turnpike. It dates to the early 20th century, when tenements lined blocks that were named for upstate New York canal towns — such as Oneida and Genesee. Today, only Albany Street remains. The rest were erased in a 1950s urban renewal project that made room for industry. In recent years, the area has been going through another transformation, filling with hip and expensive housing. The Ink Block building at the corner of Harrison Avenue and Herald Street in the South End sits an area called “the New York Streets” by some. In other cases, a neighborhood name comes about more organically. Richard Kimball Greer said that when he started marketing lofts in a group of brick warehouses near South Station in the 1990s, it was “kind of known as a leather area,” in reference to its past as a hub for leather and shoe dealers. As residents, restaurants, and art galleries started moving in a couple of decades ago, the Leather District was born. Parts of the town have changed names several times as they’ve evolved. In the late 1800s, the broad expanse of rail yards and piers east of Fort Point Channel was called Commonwealth Flats. A century later, as politicians and developers eyed it for a new business district, it became known as the South Boston Waterfront. Later, then-Mayor Thomas M. Menino dubbed it the Innovation District, but the generic-sounding label never quite took hold. 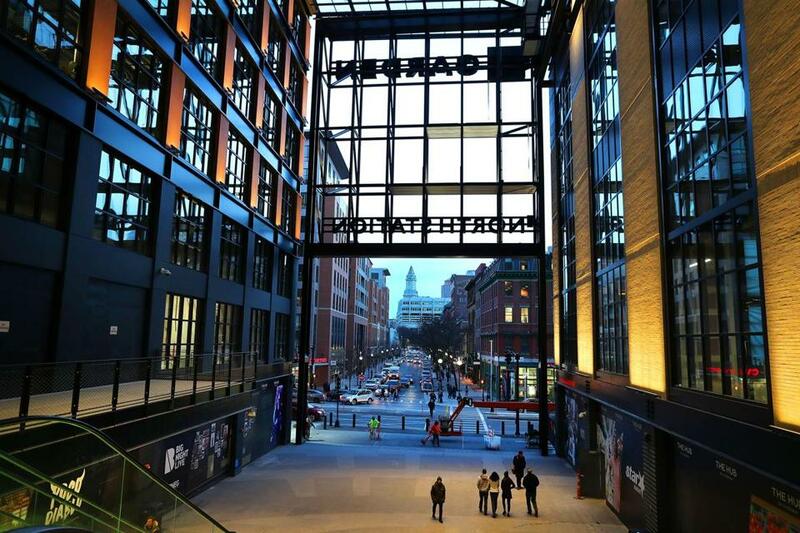 That name faded after Menino left office, and today most people call it the Seaport — a term developers of high-end condos, office spaces, and restaurants have been happy to adopt. Is this the area near Downtown Crossing that city zoning plans refer to as the Midtown Cultural District, but most people know as the Theatre District? Parts of that same stretch (along Washington Street) used to be called the Combat Zone, a notorious cluster of strip clubs, peep shows, and X-rated movie theaters. Or is Midtown actually Widett Circle, the nearly 20-acre warehouse district between the South End and South Boston? That’s what 2024 Olympics organizers dubbed it when they were pitching a stadium and blocks of new housing for the parcel. It could also mean Huntington Avenue at the junction of the Back Bay, the South End, and the Fenway. After all, since the 1960s that’s been the home of the Midtown Hotel. Kristin Phelan, a consultant who has helped market the Ink Block and the new 345 Harrison apartment building across the street — and who is a cofounder of the New York Streets Neighborhood Association — said it’s important to reach something approaching consensus on a proposed name. Simply imposing one cooked up in marketing meetings won’t work. And that may be the problem with the Uptown push. While Boston Properties has been trumpeting the name for at least a year, another large developer in the neighborhood has opted for a more traditional label. HYM Investment Group is building two towers atop the Government Center Garage that it is calling Bulfinch Crossing — a tribute to the neighborhood’s original planner, the famed early American architect Charles Bulfinch. “Old-timers call it the Bulfinch Triangle. We don’t like that name,” Koop said. “We’re trying Uptown.” But try as he might, Koop seems to understand the odds of success are long. “Everybody tells me it’s not sticking.” he said.